﻿ GV Hotel LapuLapu Cebu (Philippines) | FROM $15 - SAVE ON AGODA! 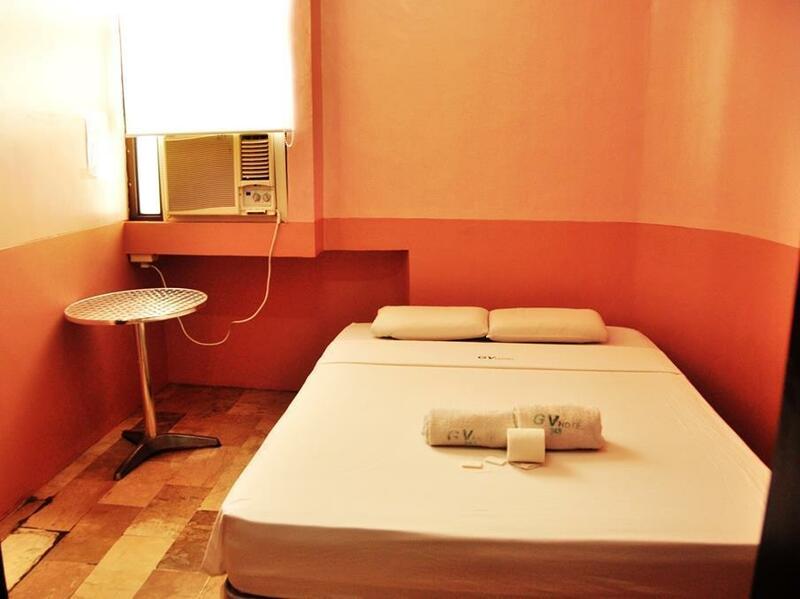 "My husband and I choose this hotel since it is near to airpo..."
Have a question for GV Hotel LapuLapu Cebu? "PUJ's is available outside the hotel." "For the staff thank you for your assistance during our stay." 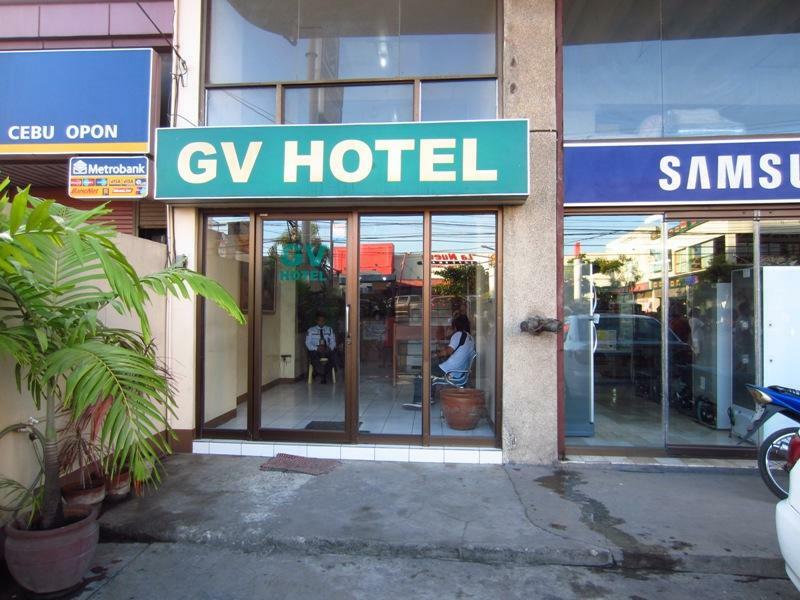 Located in the lovely area of Mactan Island, GV Hotel LapuLapu Cebu enjoys a commanding position in the beaches, sports, family fun hub of Cebu. From here, guests can enjoy easy access to all that the lively city has to offer. With its convenient location, the hotel offers easy access to the city's must-see destinations. 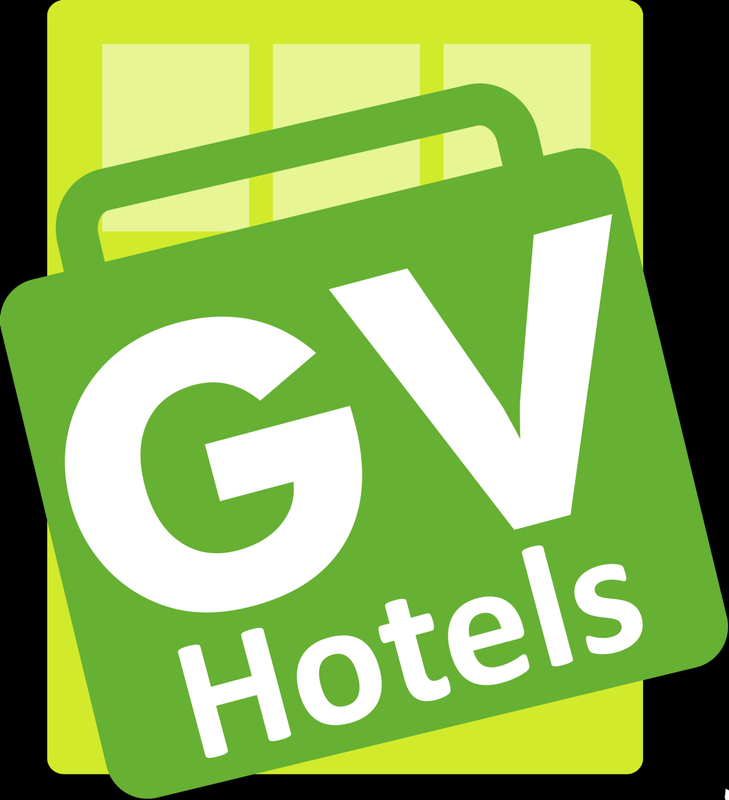 At GV Hotel LapuLapu Cebu, the excellent service and superior facilities make for an unforgettable stay. The hotel provides Wi-Fi in public areas, car park to ensure our guests the greatest comfort. 50 rooms spread over 5 floors provide a warm and pleasant home away from home. Modern comforts such as linens, towels, non smoking rooms, air conditioning, telephone can be found in selected rooms. Besides, the hotel's host of recreational offerings ensures you have plenty to do during your stay. 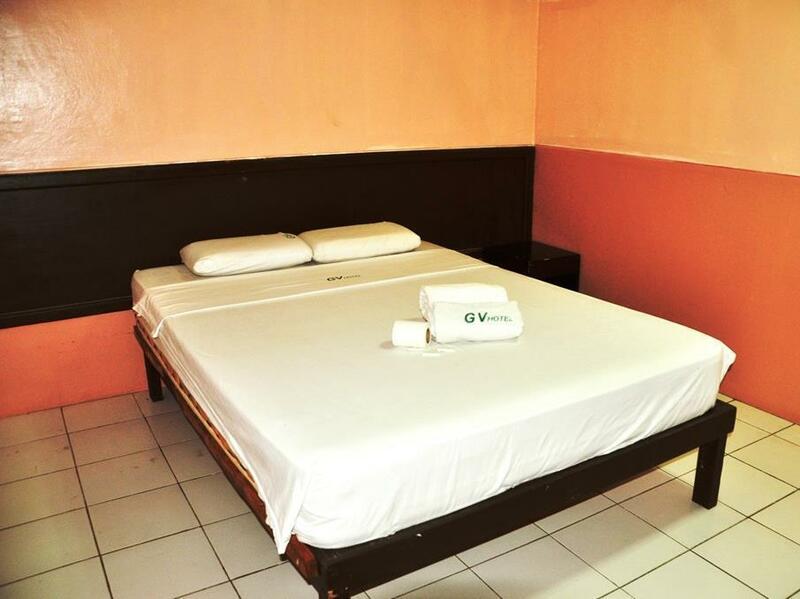 GV Hotel LapuLapu Cebu is a smart choice for travelers to Cebu, offering a relaxed and hassle-free stay every time. "Affordable, reliable and accommodating staff, clean rooms"
i have so many questions and they help me a lot ,even my English is not good enough. They have a warm heart and the hotel location close to the market. As for me, not bad, and the price is not expensive. My husband and I choose this hotel since it is near to airport, accessible to groceries, fast food chain, bakeries, barbecue station and eateries (carenderia). PUJ's is available outside the hotel. If you are going to Cebu City you can ride the Metro Ferry, the station is located at the back of Nuestra Señora de Regla Church which is walking distance from the hotel, this is very convenient way going to City because the travel time of the Ferry is 20 minutes compare to taxi or jeepney. Definitely will stay this hotel if we are going to visit Cebu next time because of the affordability and convenience. For the staff thank you for your assistance during our stay. Thank you GV Hotel Lapu Lapu! good for sleeping before the flight to manila. You can visit metro cebu via Lapulapu port, river ferry boat, 1 kilometer away from the hotel. The river smells bad but in 10 minutes youre in metro cebu. Too noisy lobby. If you're staying on the 2nd floor, you will be disturbed. Had to go down and tell the staff because the pther guests, including children, ran up and down the stairs. I like the location though because it is across a supermarket, a pharmacy and it's easy to find taxis. No elevator for my 4th floor location, thankfully security guard carried bags up to room for me. Internet iffy, sometimes it worked, sometimes it did not. Had to request room cleaning, otherwise it was not done. The deluxe room is quite big for 3 people in our group. It's very basic. The light outside our room was so bright that it distracted me from a sound sleep. We stayed for transit purpose since we'll be traveling at the early hours of the day via Cebu-Mactan airport. For that purpose alone, it's a good value for money. GV Hotel from the outside looks like a fresh, modern, western style hotel. The lobby is just that, but the rooms were very run down. It needed a good refurb and renovation. Whenever I moved on my bed, the whole thing moved as the wooden bedframe was no longer straight. There was an old TV, old air con unit, old and run down bathroom. There was only 1 pillow on the bed and when I asked for another one I was charged P.50! Surprisingly, the wifi was ok here, and the place is located not far from the airport, right next to the market and a couple of restaurants. I wouldn't stay here again as I got bitten all over my legs in the bed - but I think this was ants not bedbugs, but still really annoying and incredibly itchy for at least 3/4 days later. We had no idea when we booked that there was no elevator. We were assigned to a room on the 5th floor so it was really a hassle for us. Location is very good. Using the mater of Taxi going to Airport was less than 100Peso. My case was it's at 3AM, therefore driver ask me extra fee 50Peso, but I didn't feel bad for that happen. Staff delivered really good service. Very friendly and helpful. Service was really exceptional. The location is very near the public market and fastfood restaurant, so you can be sure to find the cheapest yet tasty food that you want. The room space is so little that you might bumped yourself on the edge of thr bed. I have just stayed here for only one night, because I want to stay near airport. It is noise, old, small, and bad serving, after checking out you can not put luggages there. I will pay more to stay a better hotel next time if I come back Cebu again. My room was smelly since the moment I walked in and it was situated in the mezzanine level so I could hear the echo of the reception TV, conversations of the reception staff as well as all the guests sitting in the mezzanine level. My room also had 2 windows, one with no curtain and light coming in from an adjacent building all night long, and another one with a white blind that did not stop the light. The sink was stuck since the moment I walked into the room. The cable TV was very poor, only a few channels in English working and bad reception. The wifi reception from the room was also very weak and inexistent at times. Very disappointed with the service by far. Staff were not very helpful either and rude when asked to assist in the matters. First warning is if flying in make sure the taxi driver does not leave the island. There are more than one of these. This is the o e close to airport. Very plain basic room. The hotel clerk kept asking me for a printout. Unfortunately I do not carry a printer on me and they did not have one themselves. She was expecting me to hop back in a taxi and find a computer cafe. So i gave her the option of checking Me in or a refund. I guess they did not really need a printout.